Former Germany midfielder Dietmar Hamann believes Wales are capable of causing surprises at Euro 2016. Wales will play Slovakia in their opening group game on 11 June before matches against England and Russia. Hamann says if Chris Coleman has his strongest squad available they will be outsiders going into the tournament. "What Wales did in that qualifying campaign was second to none and they've been absolutely fantastic," ex-Liverpool player Hamann said. "I think Wales will be dark horses come the Euros and I think there'll be one or two surprised by them. "The main thing will be to have your main players fit and ready. "In Ashley Williams the captain they've got a fantastic centre-back and the likes of [Aaron] Ramsey and [Gareth] Bale, who you've got to try and keep fit. "The others will fit in and and obviously the more football they play, the better." Hamman did his coaching qualifications in Wales under the guidance of Football Association of Wales technical director and national team assistant manager Osian Roberts. This summer's European Championship finals in France will be Wales' first major tournament finals in 58 years. 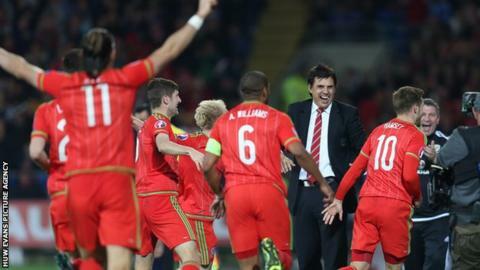 Wales have arranged friendlies against fellow Euro 2016 finalists Northern Ireland and Ukraine in March. Michael O'Neill's Northern Ireland visit Cardiff on Thursday, 24 March before Wales travel for a friendly in Kiev four days later. Manager Coleman has said Wales hope to face Sweden in their final warm-up match before the finals in France.